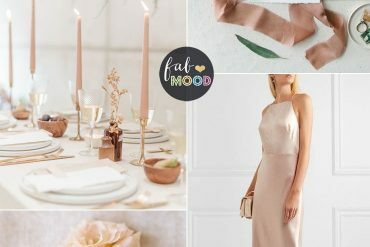 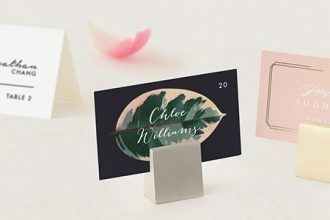 At Fabmood, we talk a lot about palettes – colour palettes, that is! 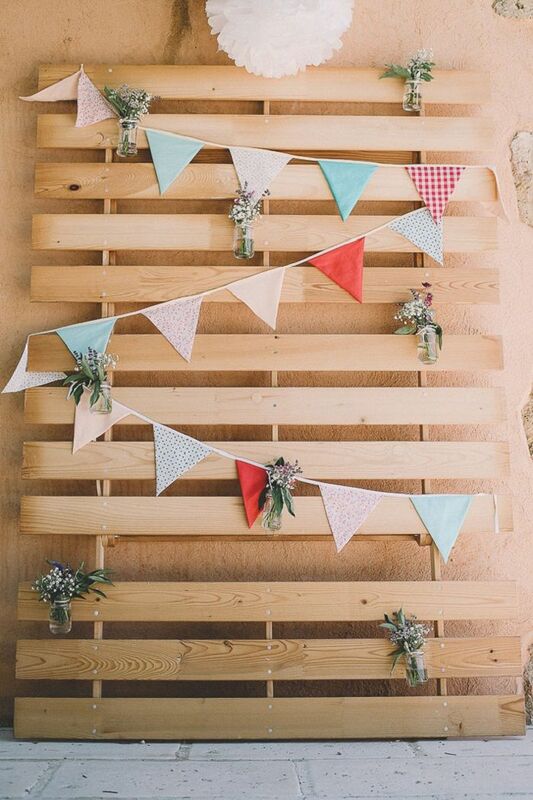 But today we want to talk more about a different kind of palette altogether. 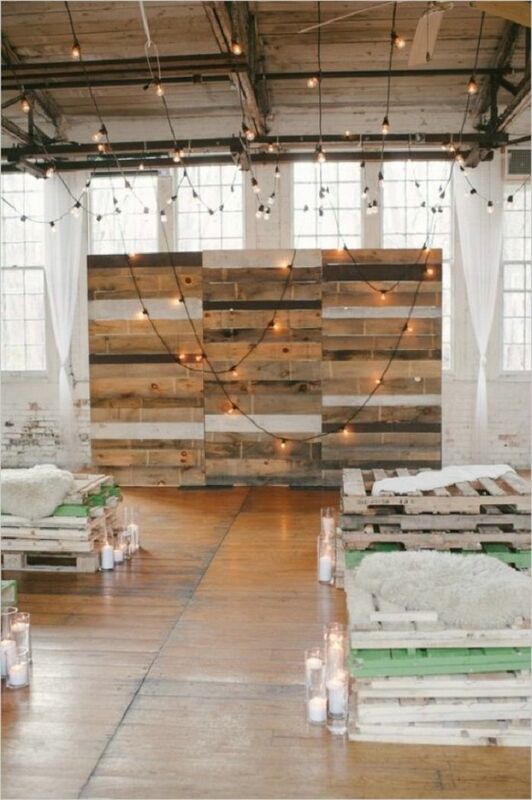 Wood PALLETS! 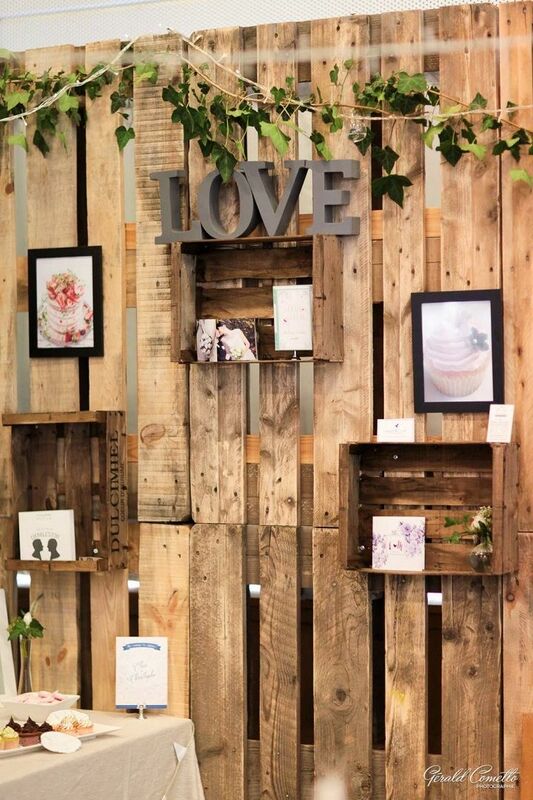 Wooden shipping pallets were a well-kept secret amongst the DIY, upcycling furniture community for their inexpensive (and quite often FREE) availability and ease with which they take on a rustic, worn look. 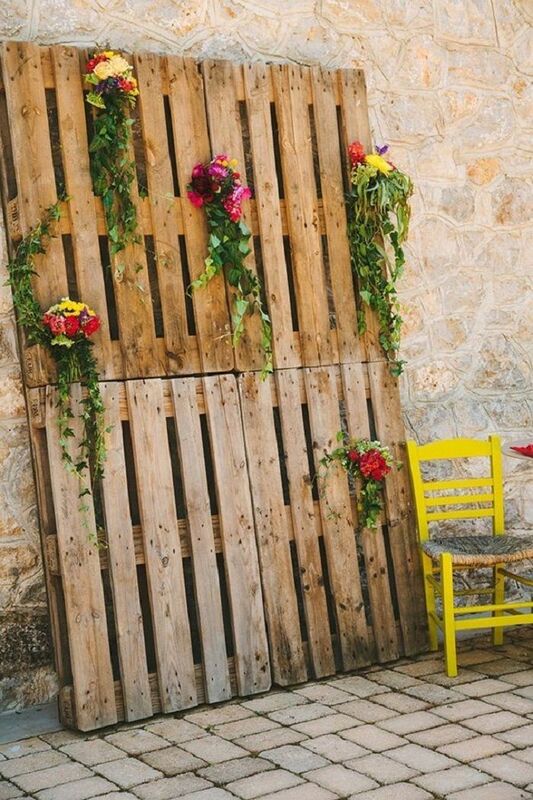 But the secret is out, and crafters and upcyclers are getting pallets by the dozen to rip apart and remake into fabulous bits of rustic décor and furniture. 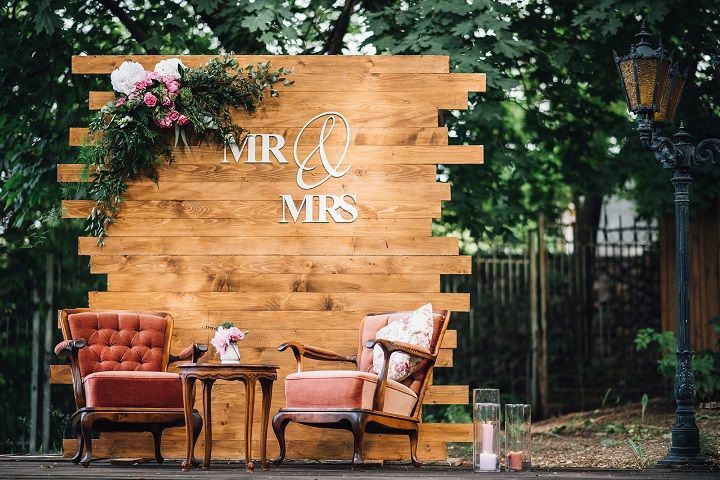 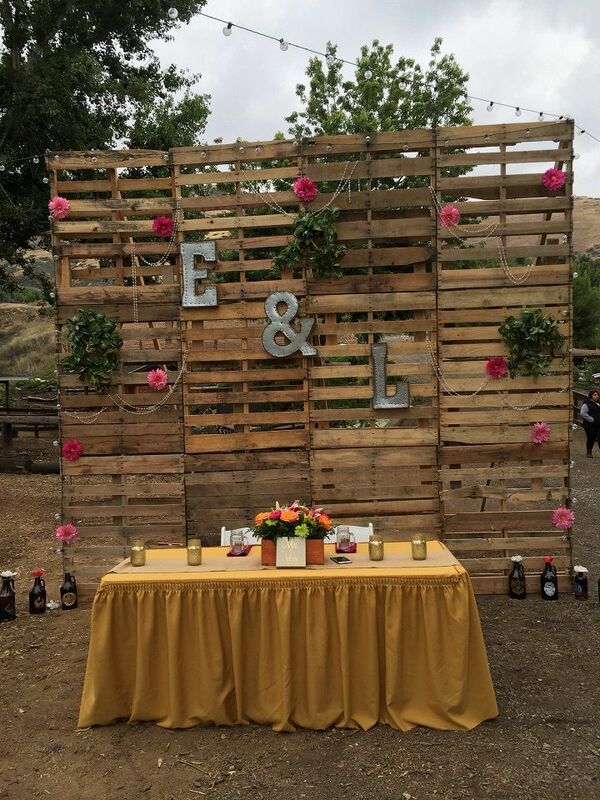 Over the past year, we’ve seen a lot of great uses of wooden pallets converted into gorgeous wedding décor, and we want to take the time to highlight some of our favorite conversions in one specific area of décor – the ceremony backdrop. 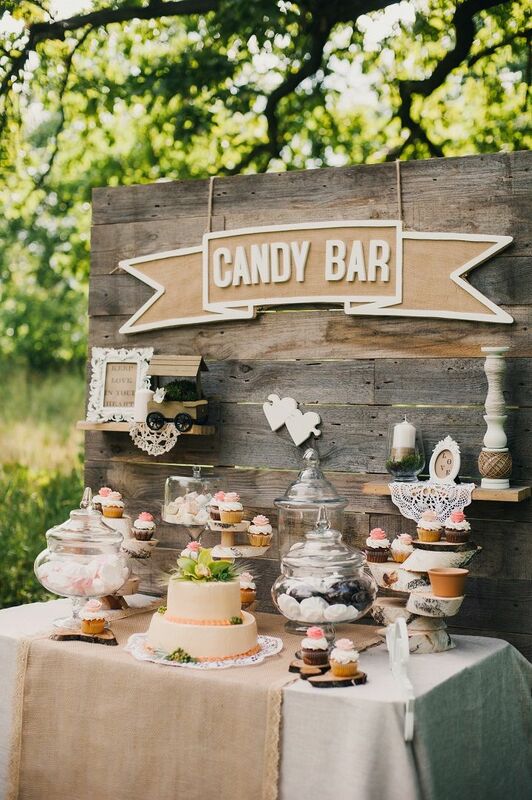 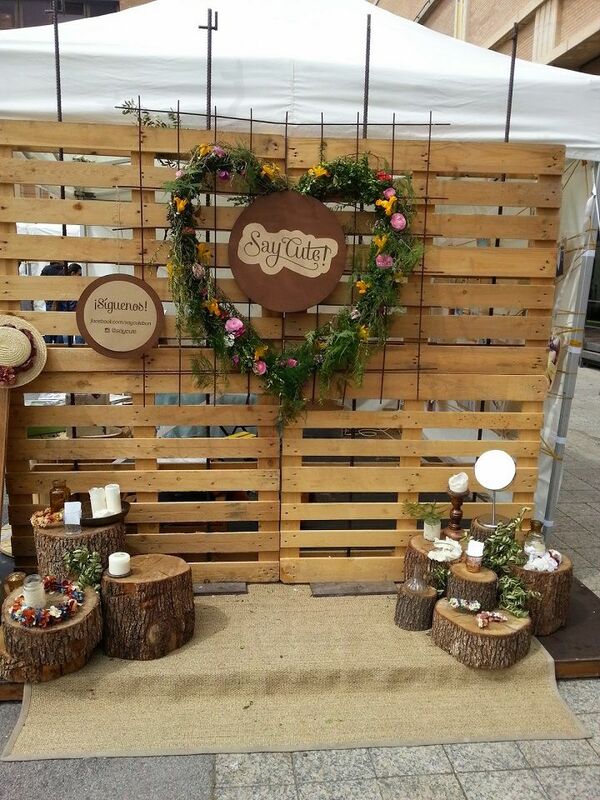 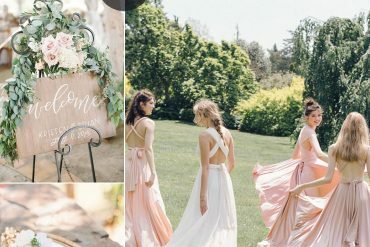 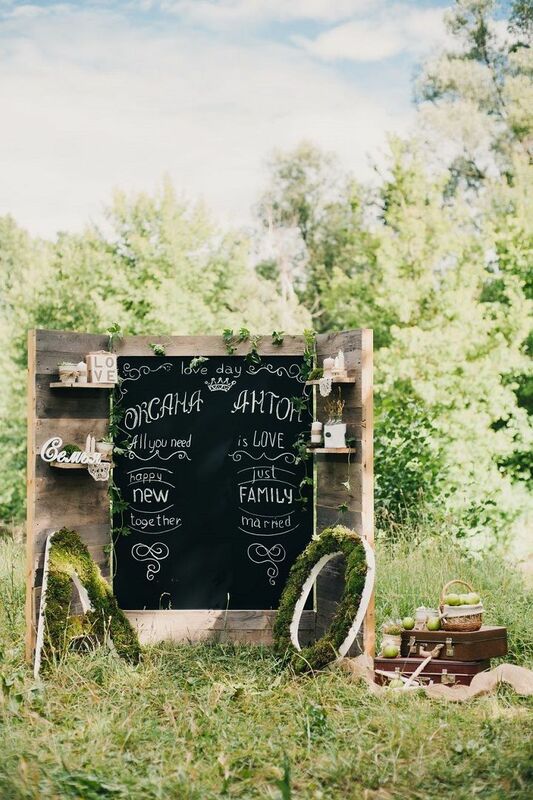 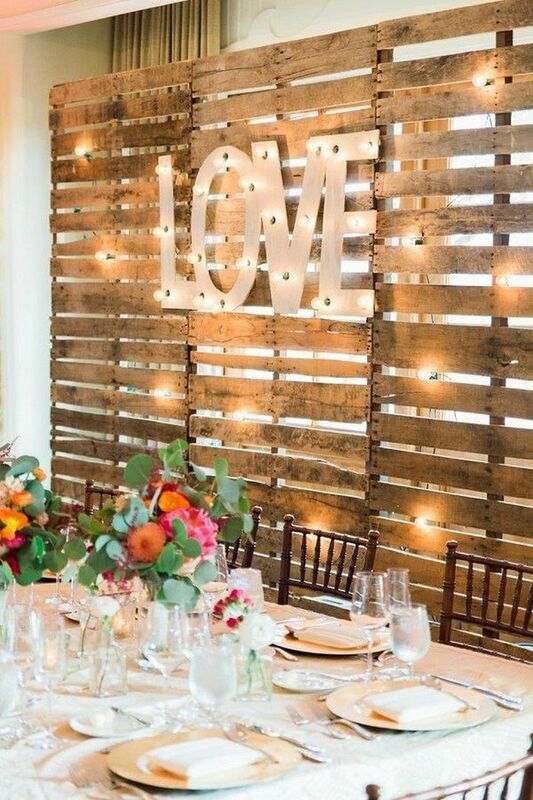 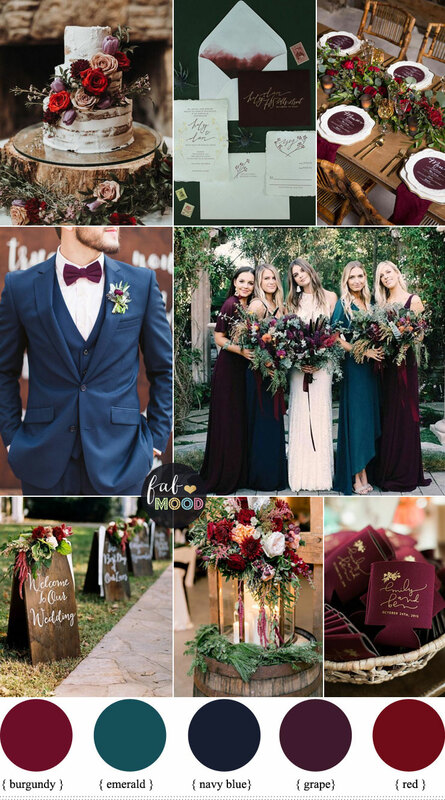 Check out these cool wooden palette wedding backdrop eco-friendly way to use in your wedding décor ! 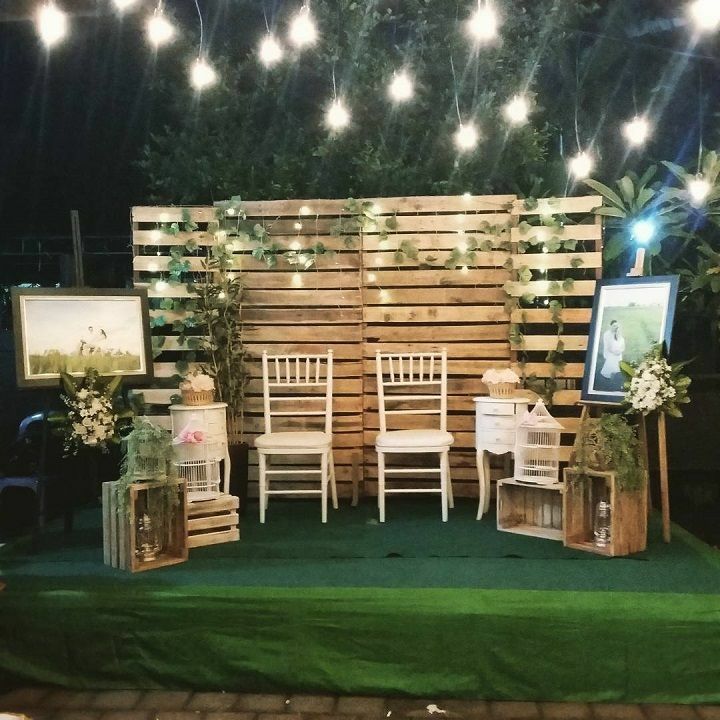 Who would have thought there was so much versatility and elegance in an old wooden crate pallet? 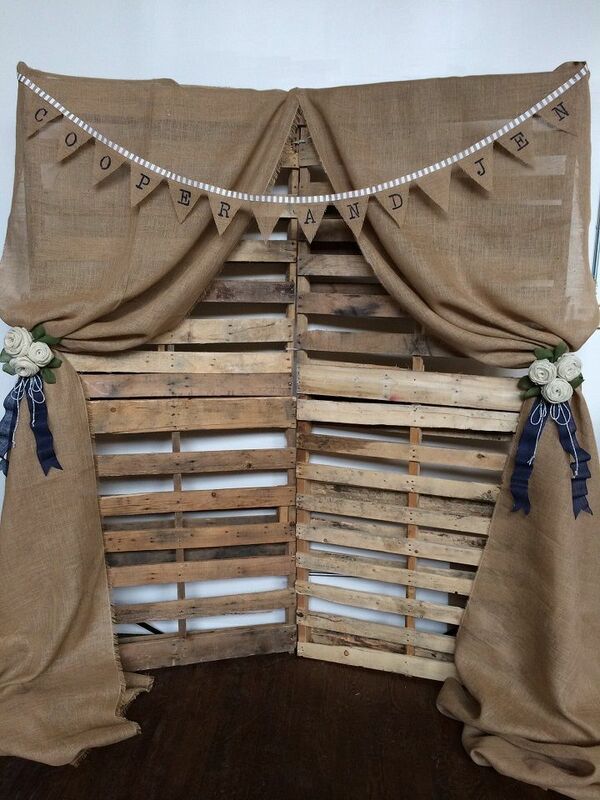 Cheers to the DIY generation for helping us see the light! 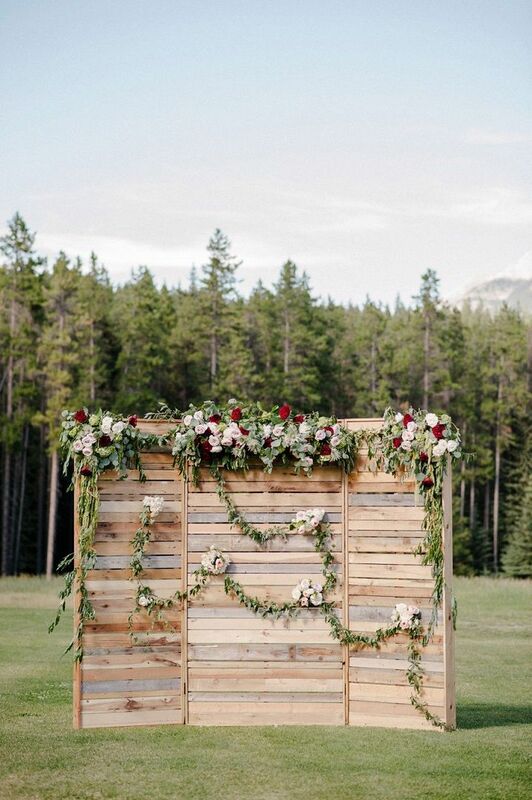 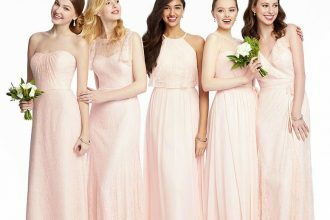 A backdrop for your wedding ceremony is sort of like putting the perfect frame around the picture of the two of you. 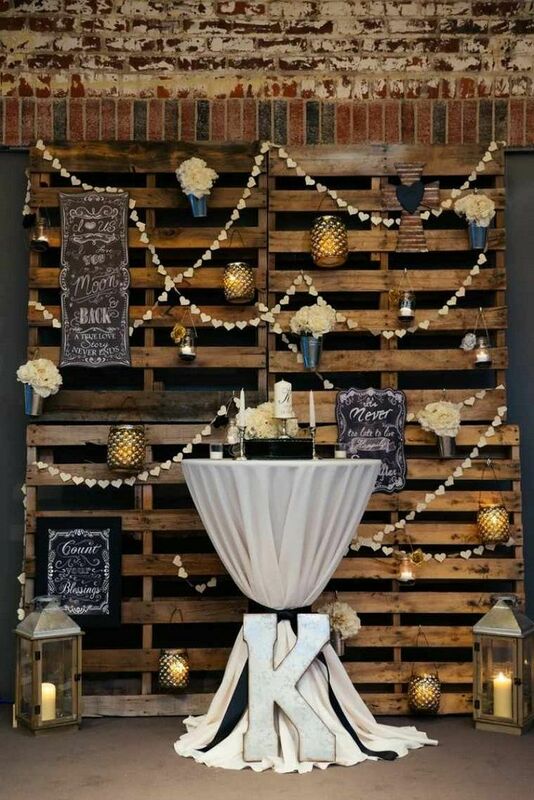 Give your big day the WOW factor pallet wedding backdrop with a DIY wedding ceremony backdrop! 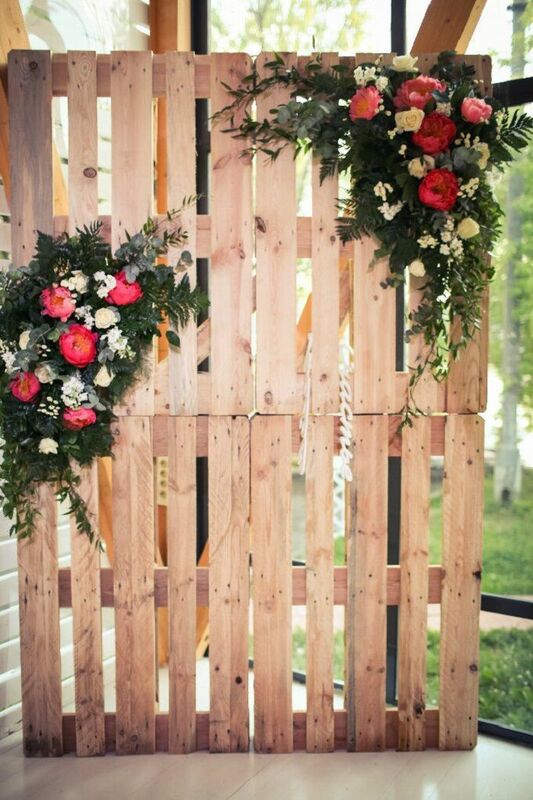 Photo : Brooke Allison Photo.